Bob Hanf was born in Amsterdam on November 25, 1894. His parents Joseph Hanf and Laura Romberg, assimilated German Jews, were originally from Westphalia and had settled shortly after their marriage in the Netherlands. Bob grew up in an afluent, artistic environment. His mother was an accomplished pianist. He received his first violin lessons in the ensemble classes led by George Scager, a viola player in the Concertgebouw Orchestra. Until the age of thirty, he spent most of his vacations in Germany with his Uncle Moritz and Aunt Rebecca. Several artists and intellectuals were part of their inner circle. Thanks to these regular visits, Hanf, at an early age, came into contact with the latest movements in art, literature and philosophy. Bob Hanf showed a great talent for drawing and he received lessons from the famous Amsterdam painter George Breitner. He became a versatile artist: drawing, painting, writing, playing the violin and composing. But his father wanted his son to succeed him at the chemical company 'N.V. Oranje' and Bob enrolled at the Technical University in Delft, studying chemistry and architecture. During his studies he drew caricatures of his professors and classmates, and he made a large number of charcoal drawings in an expressionist style, resembling Beckmann and Kirchner. There was also plenty of music making in Delft; Hanf often played with composers Harold C. King and Ignace Lilien. In 1919, he co-founded 'The Coornschuer' for the purpose of organizing concerts, lectures and exhibitions in a Delft warehouse. In Vestdijk's book De laatste kans (The last chance, 1960), Hanf is portrayed as Bob Neumann. 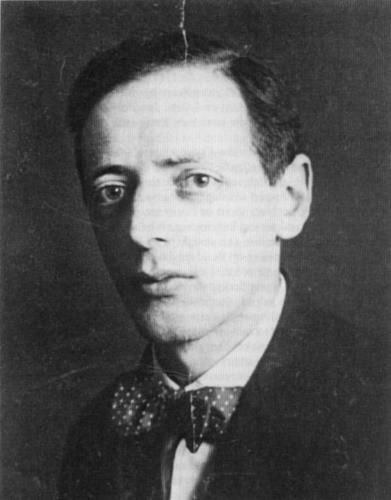 Hanf, himself, wrote two plays, three novels and several poems, influenced by Wedekind's anti-bourgeois morality and Kafka's surrealistic atmosphere and gloomy worldview. In 1921, Hanf quit his studies in Delft and moved to the attic in the family home on the Willemsparkweg in Amsterdam. At this time he seriously began studying violin and composed his first works. He took lessons with Louis Zimmerman, concertmaster of the Concertgebouw Orchestra. Although he performed as violinist in professional orchestras, including the Arnhem Symphony Orchestra with conductor Martin Spanjaard, Hanf nevertheless decided to give up this career in 1928. Composing was better suited to his contemplative nature. He wrote works for violin, some string quartets, songs on texts by Rilke, Kafka, Morgenstern and Goethe, orchestral works and one opera. The nocturnal element is strongly present, especially in his choice of Louis Bertrand, the French poet (Gaspard de la Nuit). Hanf's motivic style becomes gradually chromatic, but remains tonal, more akin to the German / Austrian tradition than to the French. His song cycles are theatrical and emphasize the absurdity of the text. With simple means he creates a unique, personal atmosphere. Hanf's music is unpublished; the manuscripts – most of which are undated – are located at the Dutch Music Institute. Hanf's music was usually performed in the private domain. He was a mediocre pianist, so he often asked friends and family to play his music. For that reason he spent a lot of time with his sister Jenny Bunge-Hanf and her family. Bob also encouraged his young nephews Lucas and Sas Bunge to play his music. He had a special bond with Sas, who was an excellent pianist. At the home of composer Harold C. King, Bob used to read out his literary work or asked him to play the different parts of his latest work on the piano. Dear Sir, Mr. van Beinum [conductor of the Concertgebouw Orchestra] would like to meet with you in the course of September to discuss your compositions. Would you be so kind to contact Mr. van Beinum after the 5th of September to arrange an appointment? Robert Hanf was born in Amsterdam in 1894. At the age of 26 he quit his studies at the Delft University of Technology to devote himself to music. He studied violin with Louis Zimmerman. Composition with Cornelis Dopper. 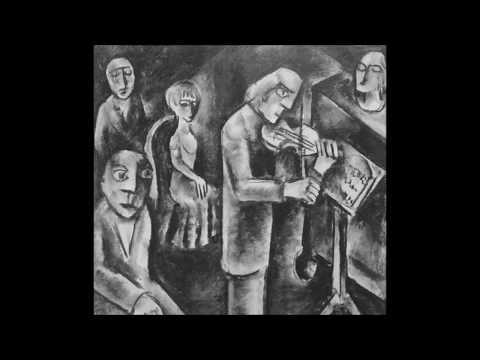 His Serenade (for woodwinds, horns and string orchestra) dates from 1935. The five short movements are thematically connected, giving the piece the characteristics of a symphony rather than a suite. In addition to his serious compositions, Bob Hanf also wrote incidental music, e.g. for his brother Fritz's wedding. Fritz, a manager at the food wholesalers 'Spar,' asked Bob to compose a jingle. Among Hanf's compositions is a piece entitled the Spar-march. Inspired by the socialist anthems, the chorus always ends with the slogan 'Koopen bij de Spar is sparen bij de koop' (“Buying at the Spar is saving on the price.”) Frits Hanf was fired in 1940, but his brother's jingle resonated for years to come. Bob Hanf left his parents' home in 1936 and rented a room on the Lijnbaansgracht, between the Weteringstraat and Spiegelstraat. In 1941 both Hanf and composer Robert de Roos were awarded the Music Prize from the city of Amsterdam. While in hiding in the Suikerhofje on the Prinsengracht, Hanf wrote, under the pseudonym Christiaan Philippus, a poem Mijmeringen over de nachtzijde des levens (Thoughts on the Dark Side of Life). It was published in The Duinrosia Herald, an illegal magazine. This was his only work published after the war. On April 23, 1944, he was arrested in a raid by the Sicherheitsdienst and deported to Auschwitz where he was murdered on September 30, 1944. 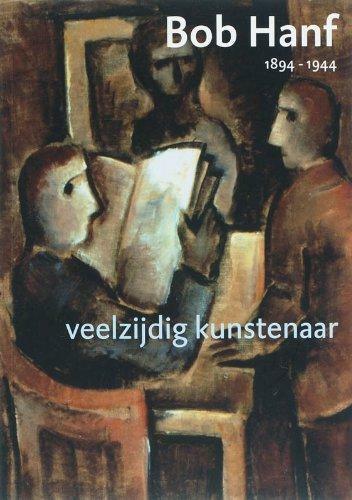 In 1945 Frits Hanf organized an exhibition of paintings ‘Kunst in Vrijheid’ (Art in Freedom) at the Rijksmuseum. Various artists, barred from working during the occupation and confined indoors, were finally honored. The exhibition included several paintings and drawings by Bob Hanf. In the 1960s a number of drawings by Bob Hanf were shown in exhibitions in Barendrecht, Amsterdam and Amstelveen (Galerie Mokum), among others. During the Liberation Day (May 5th) celebrations in 1964, Amsterdam's municipal department of culture in the Lutmastraat, presented the works by two of the “first anti-fascist artists,” Bob Hanf and Theo Ortmann. The headline on the February 17, 1967 edition of the daily newspaper De Telegraaf reads: “Collection Hanf remains in the Netherlands.” Frits entrusted the collection Hanf to a foundation. Willem Sandberg, resistance man and curator of the Stedelijk Museum for modern art in Amsterdam, was the first to recognize the importance of these works. He purchased several drawings for the museum. The Hague Municipal Museum also acquired twenty drawings. A concise biography on Bob Hanf was published in 1982, with a description of his drawings, music and literary work. But his compositions simply remained shelved. It was not until the 1990s that a number of songs and violin works were performed during the Uilenburger Concert Series, organized by the Leo Smit Foundation. Ruth Tillema-Hanf - a daughter of Frits – started the Bob Hanf Foundation. In 2007 a series of concerts in the synagogue in Groningen featuring Bob Hanf's music was organized, plus an exhibition of his drawings. Around that time, the book Bob Hanf 1894-1944; veelzijdig kunstenaar (Bob Hanf 1894-1944; versatile artist) was published.